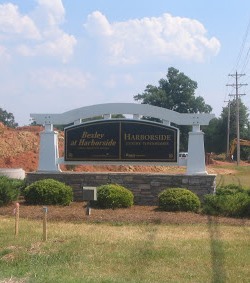 Harborside is a townhome community in Cornelius, North Carolina within walking distance to Lake Norman. Harborside is located directly beside a David Weekley Homes single family community (Westmoreland). Townhome prices start in the upper $190’s with square footage up to 2,246. Community amenities include a clubhouse, swimming pool, walking trails, boat slips and dock/pier.